Corboy & Demetrio Partner William T. Gibbs was elected to the Board of Managers of the Illinois Trial Lawyers Association on June 9, 2017. Bill will serve alongside Corboy & Demetrio Partner Kenneth T. Lumb, who also serves on ITLA’s Board of Managers. In 2017, The National Trial Lawyers named Bill to NTL's Brain Injury Trial Lawyers Association Top 25. He had already been selected to NTL’s Top 100 Trial Lawyers. 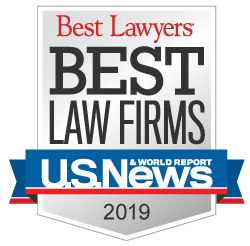 In 2015, Bill was chosen for the highly-selective Illinois Super Lawyers, and in 2014-215, he was selected to the prestigious Illinois Leading Lawyers. Active in many civic organizations, Bill is a member of the Chicago Police Memorial Foundation Advisory Board, and through Mercy Home for Boys, he provides pro bono legal assistance to individuals who are unable to afford private counsel.